The Samsung 32M5100 is a budget LED TV that is packed with powerful connectivity options, a Full HD display, and a range of picture enhancement features. 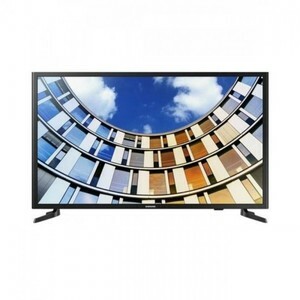 The Lowest price of Samsung 32 Inch 32M5100 LED TV in Pakistan is Rs. 29,640, and estimated average price is Rs. 29,640. The prices are collected from the best online stores in Pakistan like Farjazz.pk - updated Apr 2019. The Samsung M5100 is a LED TV from the Samsung M series. With features such as HyperReal Picture Engine, Wide Color Enhancer, and Smart View, this Samsung 32-inch LED TV is one of the best budget options available in the market right now. The Samsung 32M5100 LED TV supports Bluetooth connectivity, mobile mirroring, digital clean view, and USB connectivity. The built-in features for enhancing picture quality ensure a pleasurable viewing experience, even if the source is not high-definition.